Italian furniture manufacturer Bontempi is one of our newest brands to be featured in the Divine Design Center product offering. Utilizing their over 50 years of experience of creating design pieces for almost every room in your home, Bontempi’s diverse catalog of products features a selection of modern interior complements that are a perfect fit in most rooms in your home. Something that makes Bontempi stand out is the amount of customizability in a lot of their products. With numerous finishes types and colors - from matte lacquered frames to veneer or lacquered wood table tops, you can mix and match finishes to make each piece your own. Take a look at some of their great complements ready to be utilized in your next design. 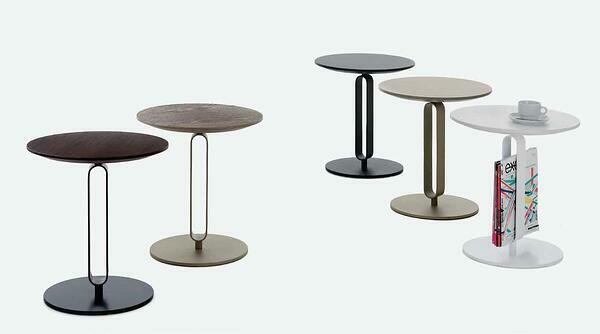 If you're in need of a small end table, the Basalto is a minimalist design that is at home in both modern and traditional designs. This little end table is adjustable with its screw-in top, which is available in veneer or lacquered wood with the screw in solid ash and the frame in lacquered metal. 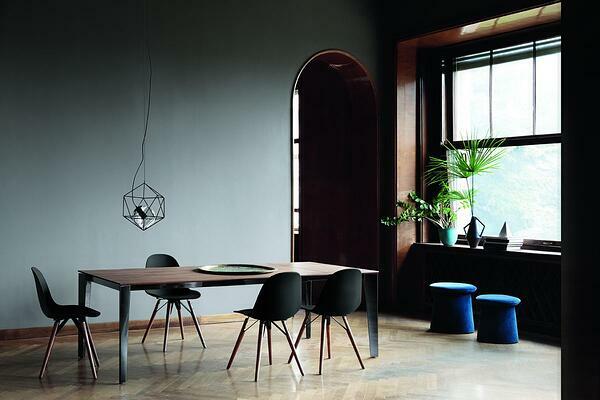 The Strega lamp offers a another minimalistic look for multiple different areas in the home. With two standing lamp shade configurations, the Strega lamp is also available in a ceiling lamp configuration. Another great side table from Bontempi, the Alfred table utilizes a cleaver design element that incorporates a magazine rack in the stem of the table. 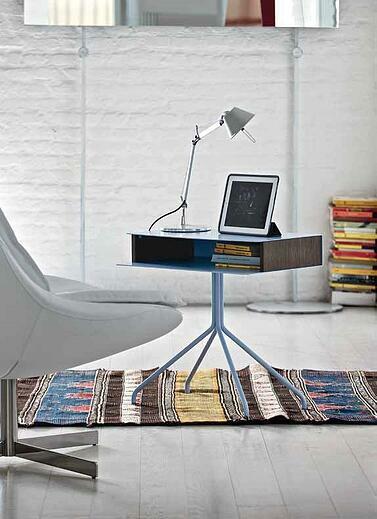 In typical Bontempi fashion, the table’s base and magazine rack and the top are available in numerous different finishes for both parts. 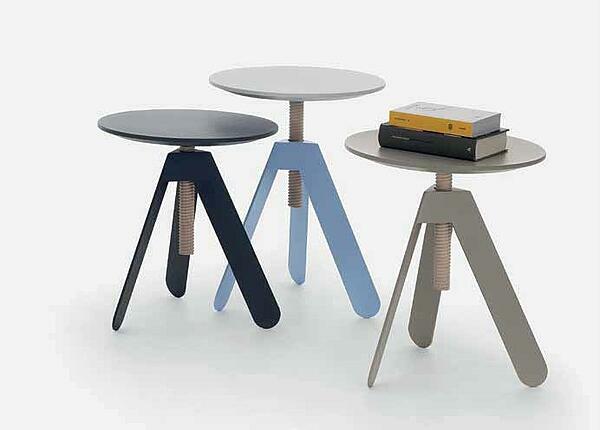 Hold from Bontempi come in two versions, coffee table or console table. Although they are different heights, both configurations have the same design with a lacquered metal frame and top with wooden side panels. In either form the Hold table provides a great looking, but also utilitarian, piece with its added storage and that fits its design. 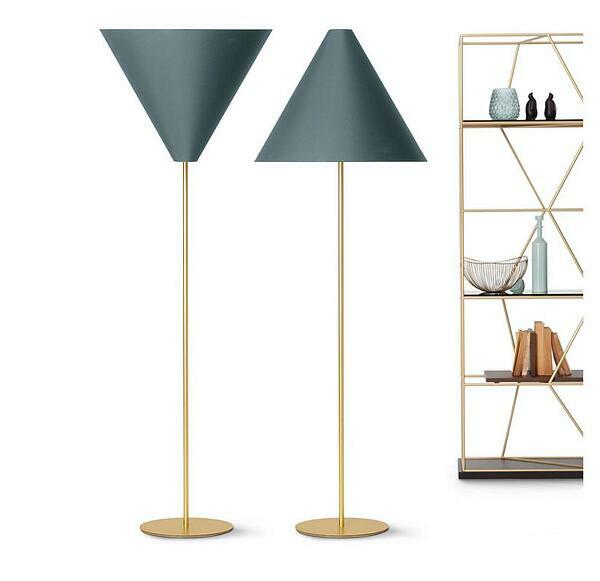 The Olimpia ceiling lamp is another clever design from Bontempi. Housed in a matte lacquered cage, this ceiling lamp could be a great addition to complete your design. 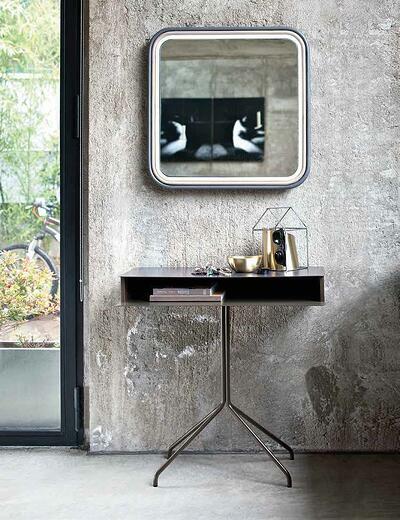 There are plenty more complements available in Bontempi’s catalog, including mirrors, sideboards, and even coat hangers. For more questions regarding Bontempi or any of our other interior complements available, feel free to visit Divine Design Center online, give us a call at (617) 443-0700, or visit our Boston Waterfront showroom at 2 Battery Wharf.